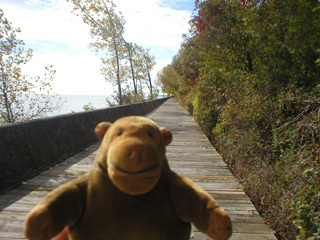 Mr Monkey rustled through some undergrowth and found himself on the boardwalk which runs along the outside of Ward's Island. He paused a little to look out across Lake Ontario (which Mr Rik kept mistaking for the sea). He'd hoped to be able to walk as far as the pier, but his humans walked too slowly, so they all had to turn back. 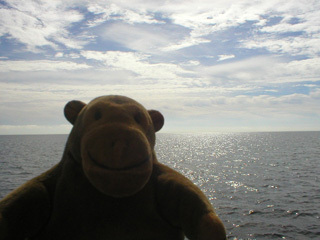 Mr Monkey didn't want to miss the ferry back to the city.